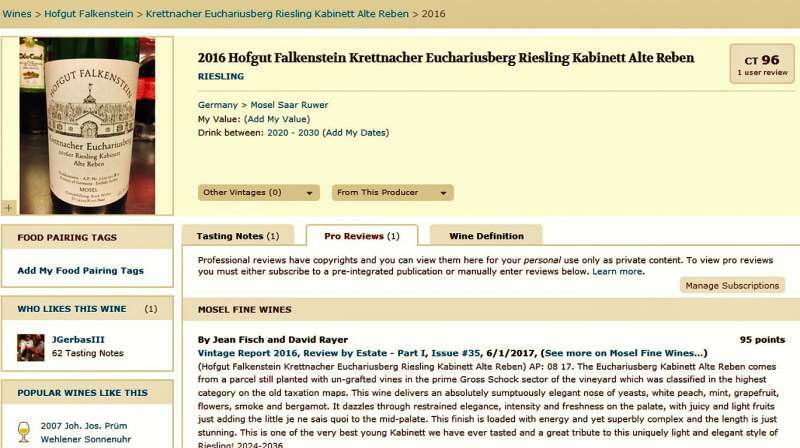 500 tasting notes from the 2016 Mosel Vintage and recent releases have been added to the database integrated in CellarTracker. 400 wines from the 2016 vintage, often whole collections, from leading growers. An additional 15 Riesling from the 2015 vintage from beyond the Mosel. Mosel Fine Wines has published over 7,500 tasting notes of Mosel wines (and beyond!) since its launch in 2008.